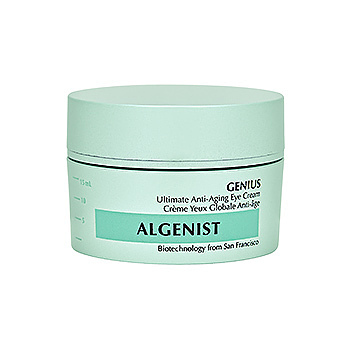 Algenist GENIUS Ultimate Anti-Aging Eye Cream has the following features: Formulated with Alguronic Acid that has an anti-aging action on the skin. Microalgae Oil helps moisturize the eye contour area while improving its radiance. Plant-based collagen and Persian silk tree extract provide firming and lifting action to the upper eyelid. Paraben-free. Suitable for all skin types.